Thank you Samuel! 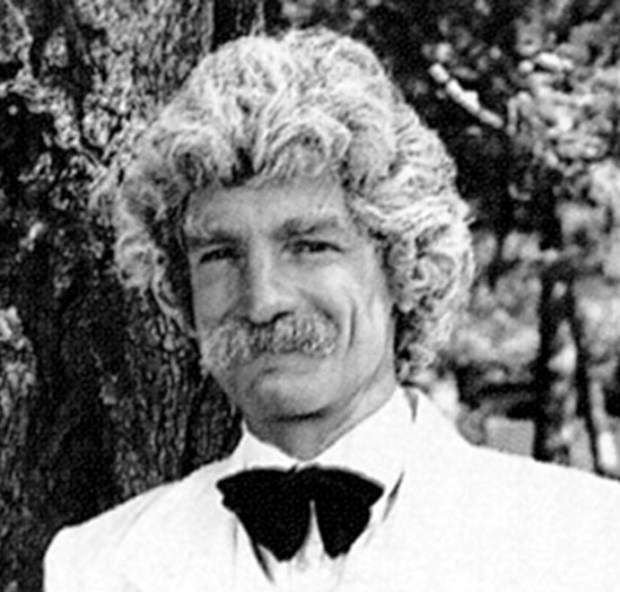 This year, 2017, marks the 30th year that I’ve been on a wild ride as “The Ghost of Mark Twain,” thanks in large part to Lake Tahoe. Back in the 70s, I was leading an indolent life in the Hawaiian Islands, holding a job my father thought should be illegal, that of hosting a morning radio show on the Island of Maui. Mine was the life of the idle butterfly. But I missed the joy of skiing, so I reserved a cabin in Tahoma for five days and headed to Lake Tahoe for a ski holiday. I had cabin fever by that time and my brain was soft, so that seed was planted in fertile ground. It took me 10 years to read the remaining 18,000 pages Twain left us, and I never regretted the lost sleep. Fast forwarding a little, I found myself lecturing at Leningrad University in Russia in a white suit and the Russians were treating “Samuel” like an elder statesman, letting him climb inside Sputnik II, and touring him all around St. Petersburg. We had to pinch ourselves. Our State Department sent us to Europe to work in our schools over there, and we were subsequently invited to Bermuda and the Sandwich Islands. Wow, can this all be a dream? This year, I decided to write a book about the relevance of Mark Twain today and the emergence of Chautauqua in our nation’s classrooms. 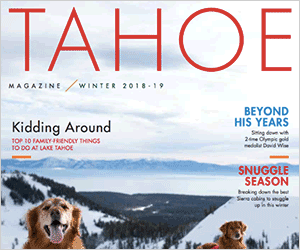 “The Secret Lives of Pine Nuts” will be out in January, and much of it is drawn from the 1,241 Pine Nuts columns the North Lake Tahoe Bonanza has been resilient enough to publish over the past 17 years. This summer we’ll be hosting a Fireside Conversation with the Ghost of Mark Twain at Twain-Layne Haven in the Village of Incline. Twain-Layne Haven is our gallery of Twain memorabilia gathered over the past thirty slow moving years. So we look forward to sharing Twain’s Tales of Tahoe with a few interested guests, who will take home wine glasses to attest, “I DRANK WITH THE GHOST OF MARK TWAIN!